As some of you probably already noticed, FV Player is again richer with some exciting new features. We have a new hosting option - KeyCDN, you can choose a new Skin for your player, and we added a way of sharing your videos directly to Facebook. You will like this change especially if you show subtitles in your videos. If you go to Settings > FV Player > Skin tab, you will find two new menus: Playlist and Subtitles. As you can see, you can now adjust the colours of your playlists, but a lot more can be done about the subtitles. You can set the change the font and it's size, lower the opacity and change the colour. The best thing is that you will see all your tweaks in a live preview. The live preview is also available in the main demo video. Previously you had to update the settings by saving all the changes to see how your newly adjusted skin will look like. Now you can just play the video, change what you want and see how it will look like instantly in the video box. 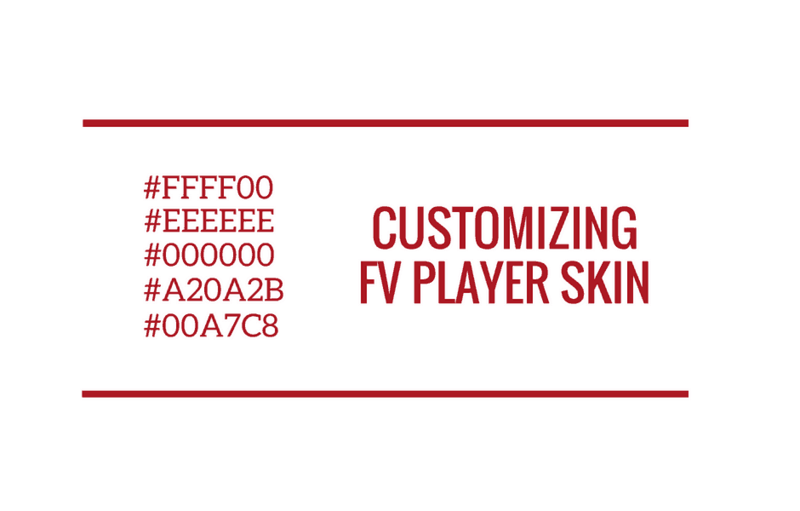 More info on how to customize your skin can be found in this guide - Customizing FV Player Skin. If you are self-hosting your videos and use the MP4 format, you will be able to allow your audience to share your videos to Facebook directly. The previous functionality allowed you only to share a link to the page with the video. 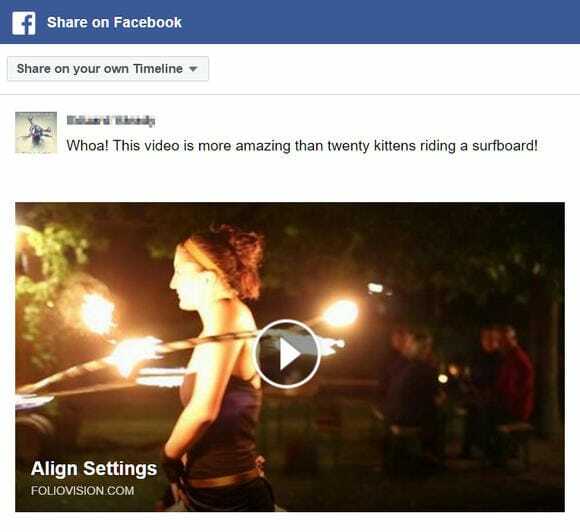 Now the video will be on the users wall, where everyone can see it immediately. You can find more info about how to use this feature in this guide - Managing Social Sharing Buttons. We have added support for another hosting service. KeyCDN lets you host your content for a relatively low price and allows you to serve them via content delivery network, while protecting it from hotlinking and downloading with a secure token. You can set the whole distribution in a couple of minutes and then immediately connect it with FV Player Pro. Videos are uploaded via FTP and you can also customize the CDN URL. We have a guide that will take you through the whole process: from setting up the CDN to placing the videos on your web. You can read it here - Using KeyCDN With FV Player.